On Wednesday, a pickup truck flew off an overpass, hitting a semi-truck driving south on Interstate 5 near Joint Base Lewis-McChord. Debris from the truck was thrown into the northbound lanes, backing up traffic in both directions. The deceased man has been identified as Mr. Jay Kirk of Gig Harbor. The semi-truck driver was not injured in the accident. The Washington State Patrol is still investigating the cause of Wednesday’s accident. No brake marks were found on the overpass, leading troopers to suspect that he may have suffered from a medical emergency before the crash. Police are still investigating whether the driver died as a result of the crash, or the result of a medical condition that caused his erratic driving. The truck was a 2012 model Chevy Silverado pickup truck. Although some Toyota truck models have been recalled for sudden acceleration issues, reports of unintended acceleration in Chevy trucks are still mostly anecdotal, with no recalls issued yet for acceleration problems. This is not the first time a car has plummeted from an overpass onto I-5. In April of this year, an SUV broke through a barrier and fell onto the southbound lanes near the Tacoma dome. The driver was also killed in that accident. 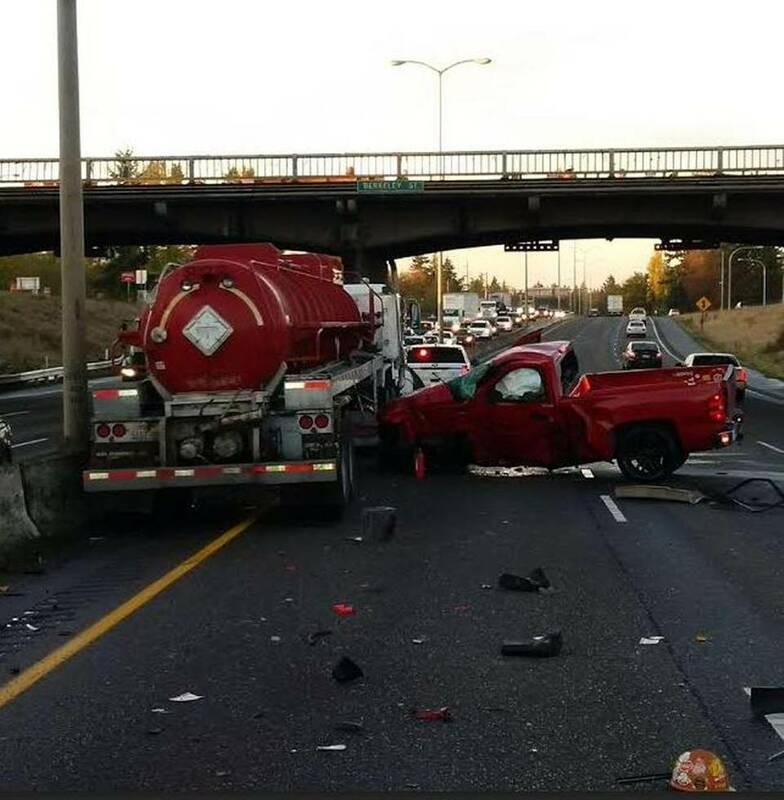 In 2013, a pickup truck fell from an overpass in Federal Way. Amazingly, both the driver and passenger survived with only minor injuries. Although most overpasses do have guardrails, they are not always designed to stop a large vehicle traveling at high speed. If you or a loved one has been injured in a crash, you may want to speak to an attorney about your legal options. Just because there is no criminal case in an accident (in this case, the police have not yet mentioned drugs or alcohol, and believe that the accident may have been out of the driver’s control) doesn’t mean that there is no way to recover damages for medical bills or property damage caused by an accident.